Keeping up with cutting-edge technology in the telecommunications, aerospace and aviation industries requires the best software, equipment and personnel. CAD design started a new era of small part machining technology which has brought the art of small part machining, CAD design, milling, turning and machining center operations to a new level. With a modern-day machining center, you can have the best of both worlds. It has always been the machinist’s challenge to find the right balance between speed and accuracy. Producing a component fast often resulted in compromising some accuracy, but not anymore. By employing the right CAD design and a top-of-the-line machining center, small part machining and close tolerance machining can be done at speeds never thought of in the past. Every new product that hits the market has one thing in common, it is either smaller than the one before or it has more features in the same size. The art of small part machining is an ever-evolving skill requiring the best CAD design software and engineers coupled with the finest milling turning machining center. The technology of the future challenges every type of industry. JW Machine stands ready to meet this challenge. 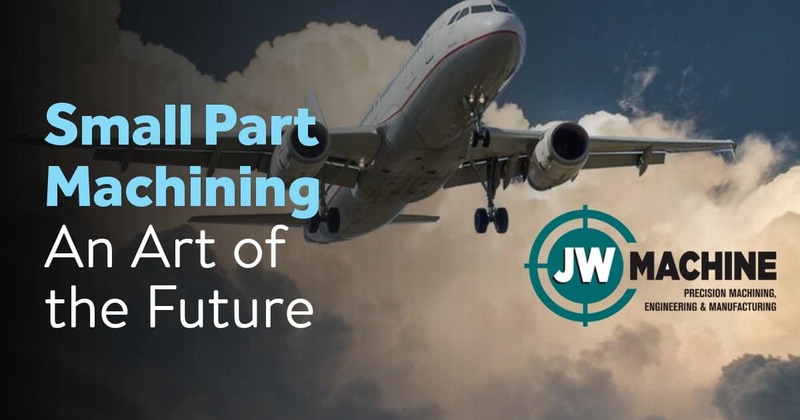 If you are looking for the best to provide you the speed and accuracy required for small part machining in the defense, aerospace, aviation, telecommunications, or high-performance racing industries, the CAD design and machining center experts at JW Machine are here to answer your call!